Sathya Sai devotees from Regions 1, 2 and 3 held their annual retreats from 23th to 26th May 2014. These events included inspiring talks, meditation, bhajans, workshops and cultural programmes. In North-East USA, the 39th annual retreat was organised at the Russell Sage College in Troy, New York. A medical camp was held along with a visit to patients at a convalescent home. 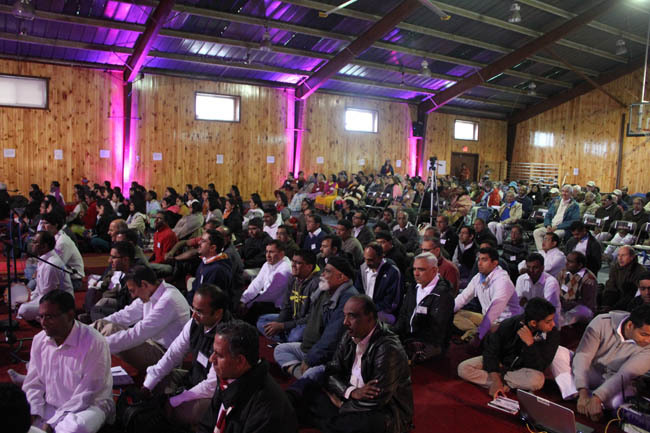 In the Mid-Atlantic region, over 850 Sathya Sai devotees attended the retreat at Camp Westmont in the Poconos Mountains of Pennsylvania over a four-day period. A health screening camp and a blood donation drive were organized as part of the retreat. 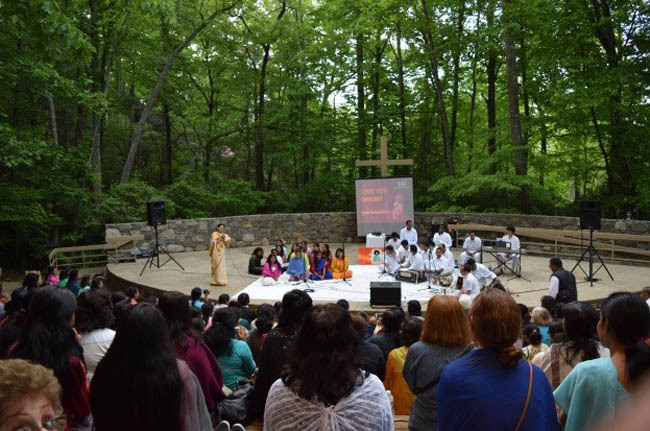 In South-East USA, over 300 devotees from Sathya Sai centres in Alabama, North Carolina, South Carolina, Florida, Georgia and US Virgin Islands met at the YMCA Blue Ridge Assembly nestled in the beautiful Blue Ridge Mountains near Ashville, North Carolina. During the retreat, volunteers also visited a veteran’s nursing home in the Black Mountain to offer refreshments and entertain the patients. Towards the conclusion of the retreats in Regions 2 and 3, resplendent rainbows were visible in the sky at both locations and the participants experienced the divine presence.